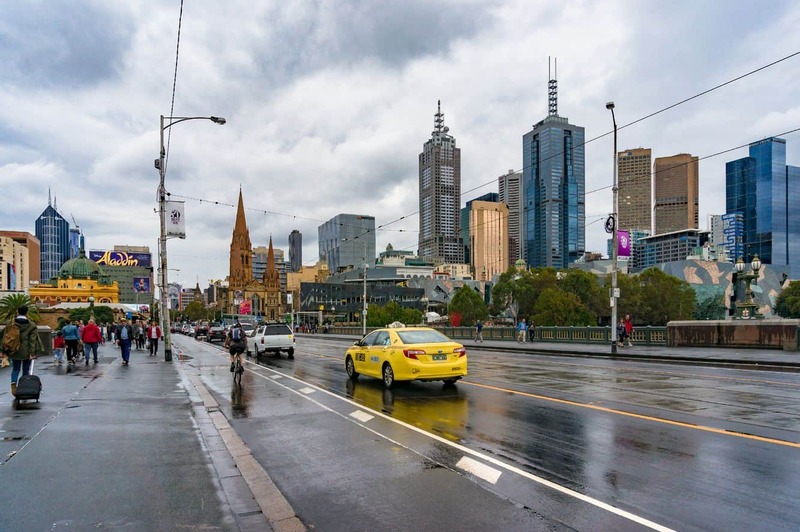 Travelling within Melbourne is relatively easy with the availability of Melbourne cabs (also referred to as taxis). 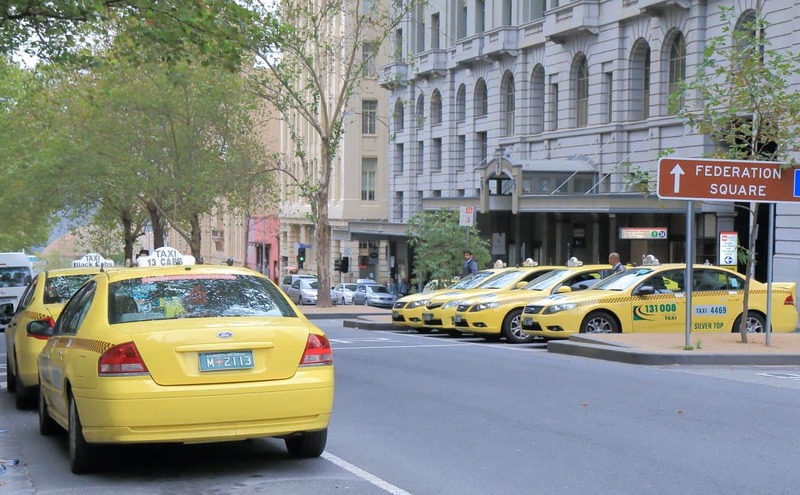 The cabs, conveniently located in the CBD, are easy to identify as they are bright yellow with “taxi” written on the bonnet. 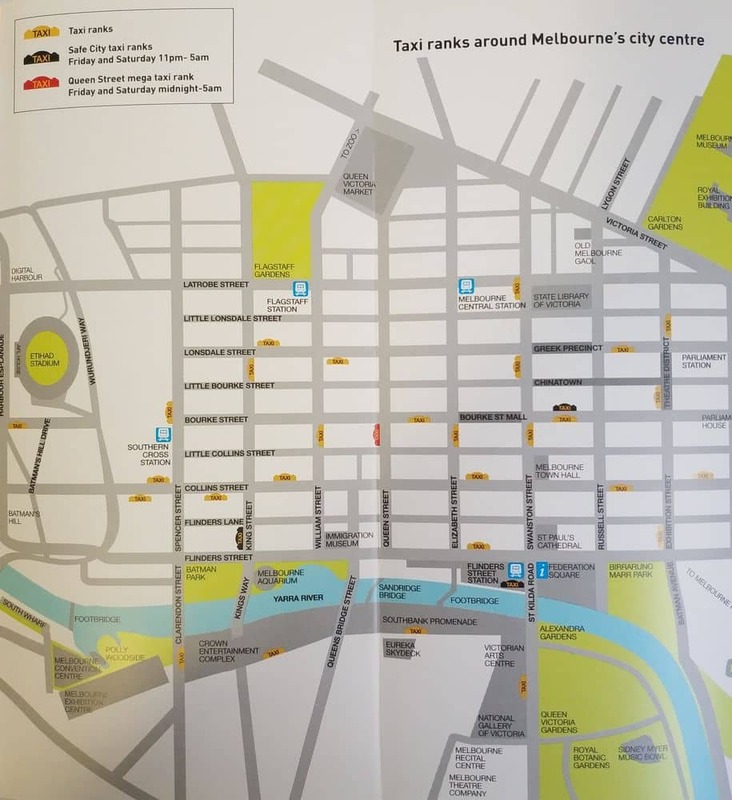 There are many taxi ranks located around Melbourne and you can often find cabs waiting at shopping malls, train stations, casinos, hotels as well as the airport. Traditionally yellow in colour, the cabs have a light on the roof to indicate availability. When this light is on, it means that the cab is available for hire. 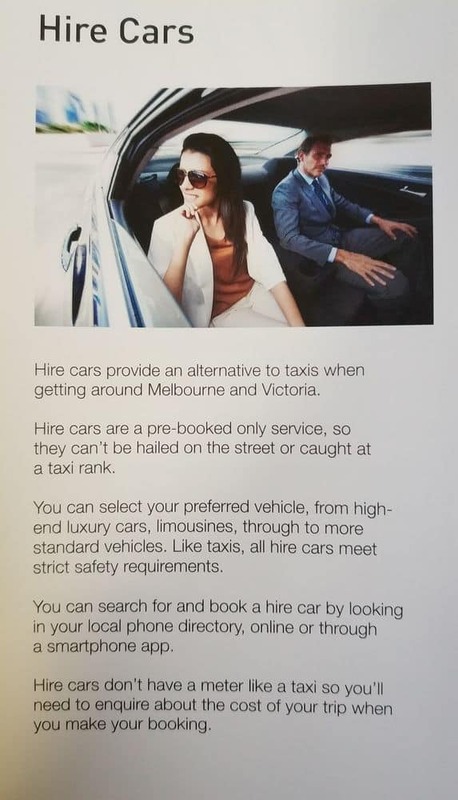 One of the fundamental attributes of cab drivers in Melbourne is that the must be smartly dressed and must have their identification and taxi licence displayed on the dash of the cab. 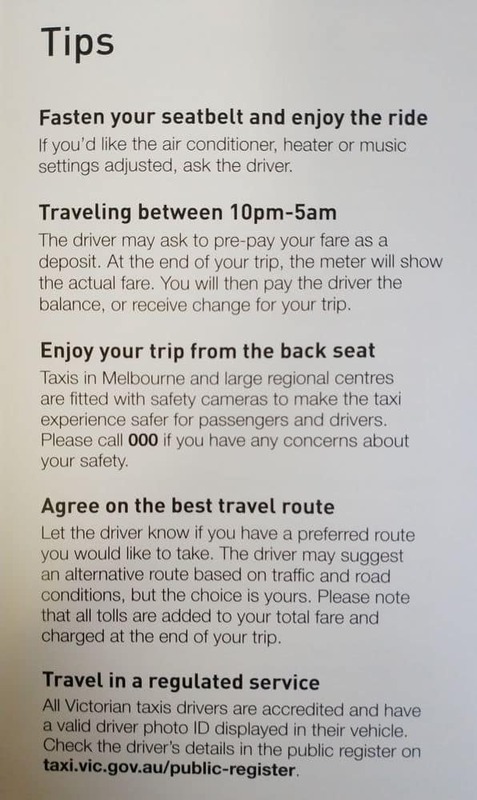 Travellers to Melbourne should be aware that all Melbourne cabs are metered, therefore the taxi fares is determined by the distance travelled and cannot be negotiated. 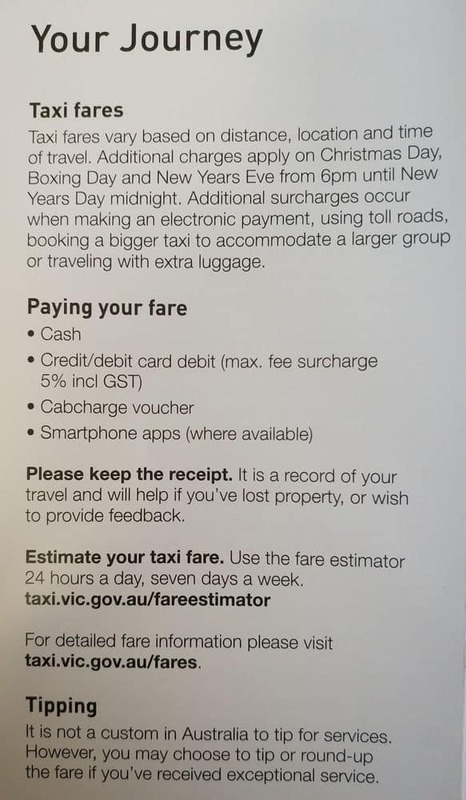 To calculate your fare, travellers should note that a flagfall of between $4.00 – $6.00 is charged as soon as the cab meter begins running, with between $1.62 – $1.98 charged for each kilometre. The variation in price depends on whether you are travelling during the day, evening or during peak times. It is cheapest to travel in a taxi during the day before 5.00pm. Peak times are between 10pm – 4am on Friday and Saturday nights. 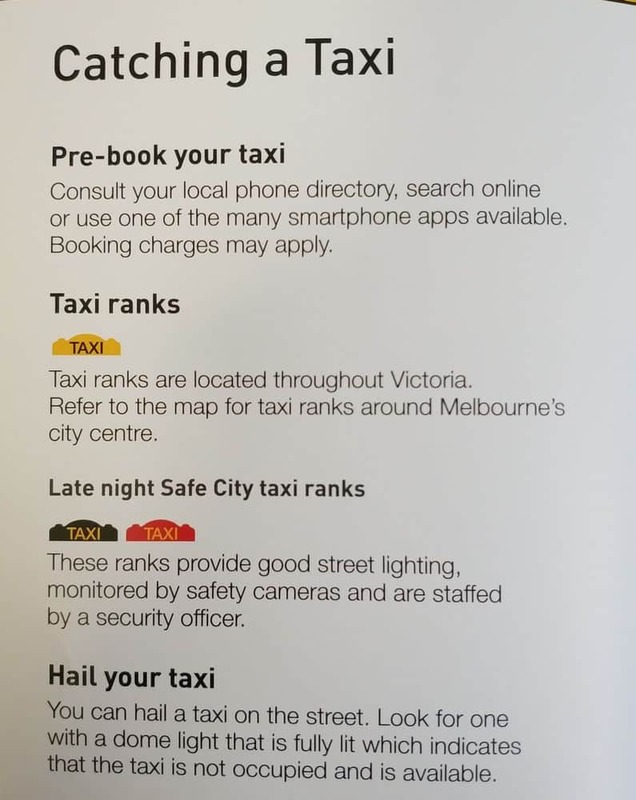 In addition to these fares, if booking over the phone (as opposed to hailing a taxi in the street) a booking fee of $2.00 is incurred at the beginning of the cab ride. 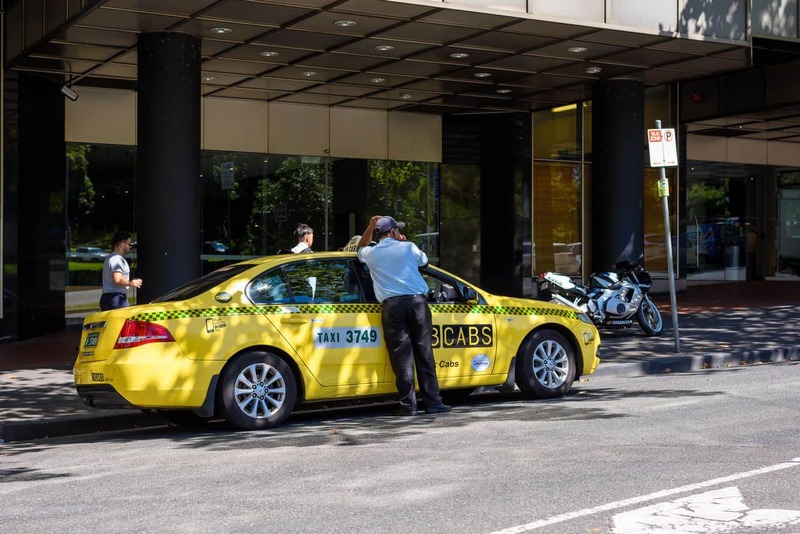 Due to an increase in people fleeing from cabs and not paying, if you travel between 10pm and 5am you may be asked to pre-pay the estimated fare as a deposit. At the end of your trip, the meter will show the actual fare. 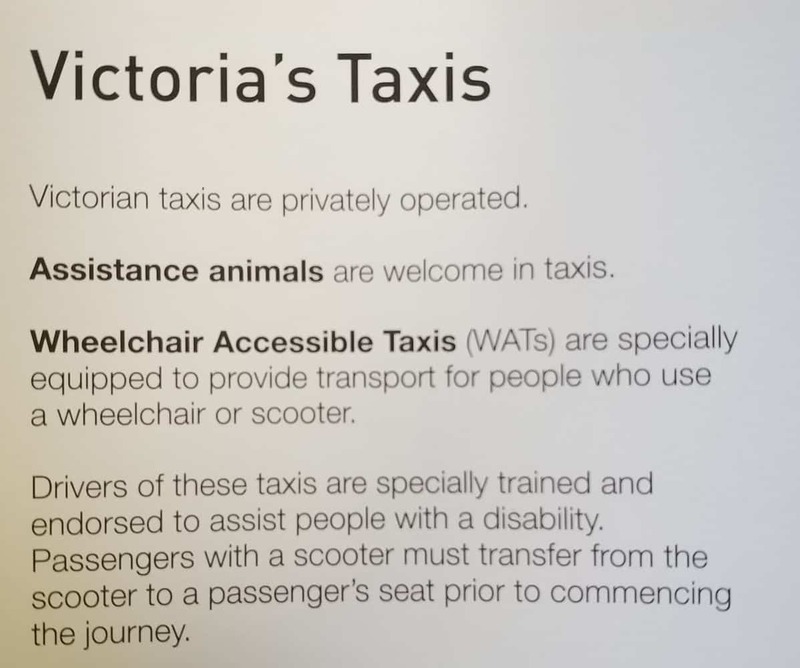 You will then either need to pay the driver more, or will receive change for your trip. 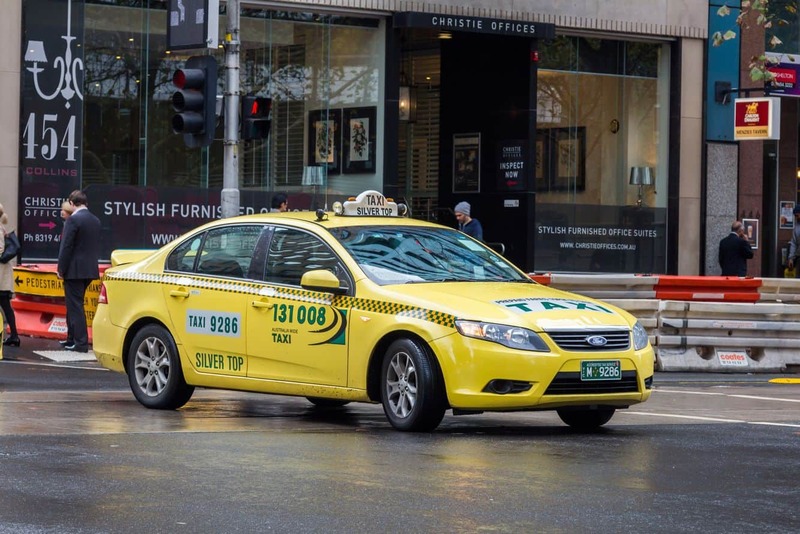 Some of the most popular cab companies in Melbourne include 13CABS, Black Cabs and Silver Top Taxis; all of whom offer online booking services for ease of use. 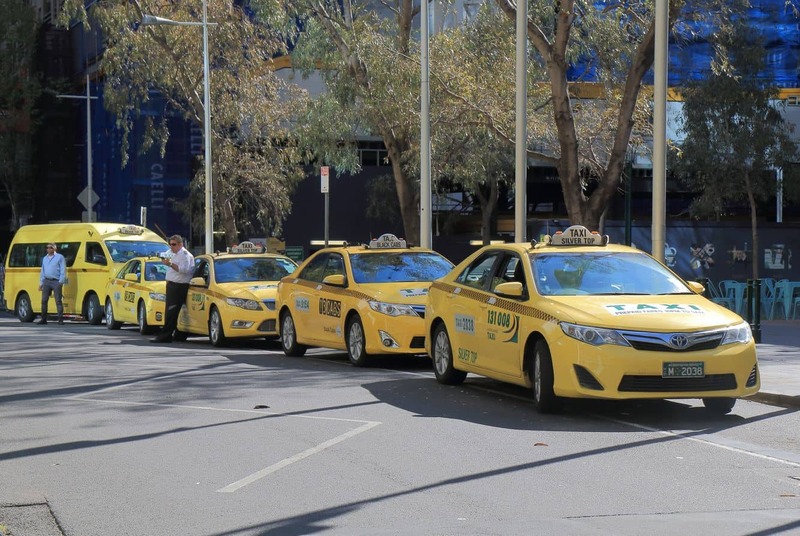 Other cab companies include Crown Cabs, Dandenong Cabs and MaxiTaxi. The latter offers unique services because it generally has ample space for additional luggage, making it ideal for those travelling in groups of up to 10 passengers. However, please note that booking a MaxiTaxi is a little more expensive per kilometre. 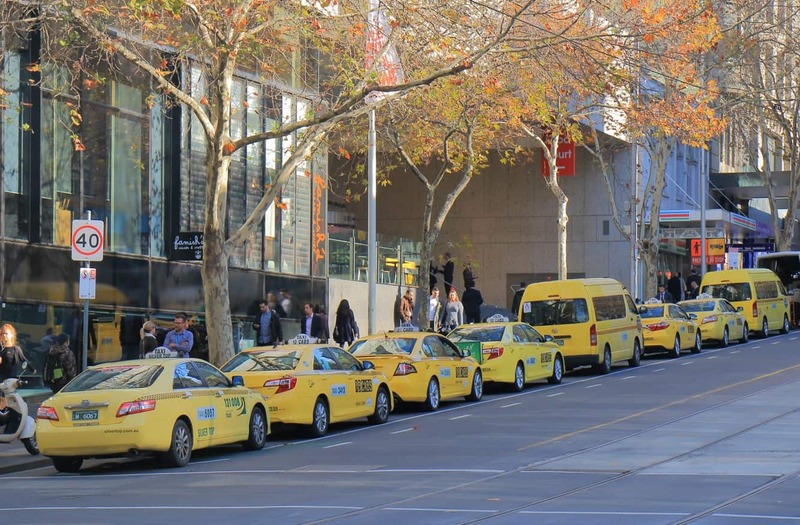 For convenience of travellers, both cash and major credit cards are accepted as payment to cabs while travelling in Melbourne.